Unfortunately, sooner or later people die. Sometimes relatives of the deceased wish to be buried in another city, where he was born or where the lives of his entire family. In such moments the question arises about transportation. There are special firms dealing with the transportation of the body of the deceased in any city in the country or abroad. Such shipments are called "cargo 200". To transport a deceased by plane, train, or special vehicles. The most affordable means of transportation is the car in this case would not be necessary to collect many documents and to permit the removal of the body to another city. Usually ordered a hearse, which is equipped with fittings for a coffin, but also has the ability to take two accompanying persons. For the contract of transportation will need the death certificate, and – preferably – a document confirming the kinship with the deceased. If the distance is too large, then you can use the services of air transport. This is a very fast form of transportation, but it is one of the most expensive. 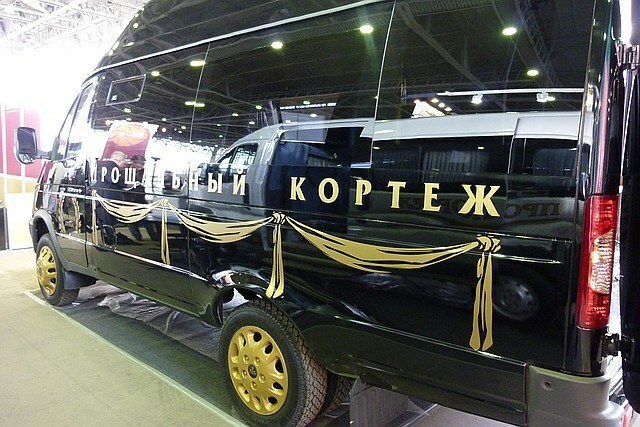 The cost of transportation from the place of death to place of burial is about 20,000 rubles. 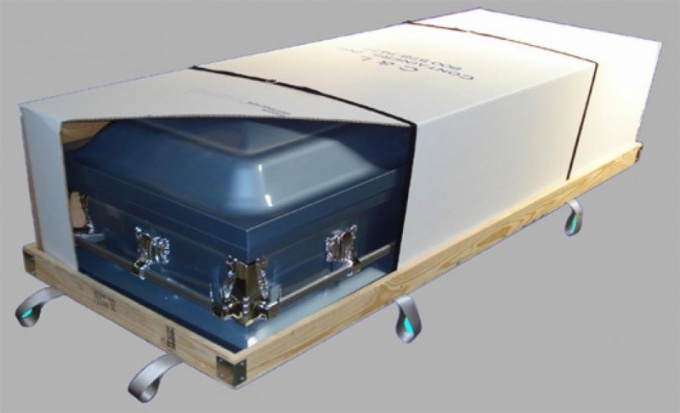 In this case, you will need to buy a zinc coffin, which will ensure the preservation of the body of the deceased. It must be sealed and covered with metal. The casket is placed in a special box made of wood, and the free space in the box filled with sawdust. In addition to this, you will need to collect a package of documents which includes certificates of the deceased, and permission for transportation. In some cases, the coffin must be accompanied. For transportation of the deceased are used as cargo and passenger planes, where the coffin is placed in the compartment with the Luggage. Transported so that the passengers did not know about it. The death of a loved one is a terrible event. Worse may be only that the deceased person is far from family. However, there are firms that not only help in transportation, but will respect the wishes of loved ones. In the case of transport of the deceased by train will also need to collect all the documents that aviatransportirovke. But it is necessary to consider in advance that the train should enter the car with Luggage or mail, as that is what these cars are coffins. The coffin must be accompanied by a confidant. In order to carry the coffin from the morgue to the train and from the train to the place of burial, you will need a specialized machine–the hearse, order which the firm engaged in ritual services. The cost of transporting the deceased on the train is about 5000 rubles. The death of a person is one of the saddest moments for friends and relatives. But if a person dies in another city, then to standard procedures of funeral repatriation is added. - the certificate is not nested. Transportation can be carried out independently. If the distance to the destination is small and has a car, has climate control, then to move the load 200 can have their own transport. Thus, it is possible to save at least 50,000 more Importantly, to the load 200 is fully consistent with the standards of the carriage, and the driver had the necessary accompanying documents for the carriage of the body. The load 200 is transported in a special container made of zinc. Before tucking the body into the container, it is necessary to embalm. The embalming takes place directly at the morgue. The body is then placed in a container and sealed. For embalming and opice container with the deceased at the hands of issued of certificate of not nested, and embalming. Now with these inquiries need to visit SES to retrieve from the document on the basis of information about the embalming of the body. From the Registrar's office in the city where the person died, you must obtain a stamp certificate on death. If the person died abroad, then you need to contact the Consulate, where the resulting reference will translate into the language borders which will be crossed. If the load 200 is transported by road, the driver will need to obtain a visa. Choose a transport need based on distance. If it does not exceed 1200 km, then it is advisable to use vehicles. In other cases, you can use air, rail and marine modes of transport. The fastest will be the transport, but it is also the most expensive. The vehicle is a definite plus. Transportation can be carried out directly to the place of burial or funeral. Also in the car will fit two more relatives. Thus you can not spend the money to relatives accompanying the shipment. Unlike the transport of other modes of transport, for the carriage will not be the elapsed time to receipt of goods. At the airport or train station to the load 200 are the only people mentioned in the invoice documents. Another way to transport the dead is the transportation of ballot boxes. For this you need to first cremate the body. Must be a death certificate. Booking of tickets is done in advance. For example, on air transport for the urn you need to purchase a separate seat. Thus it is necessary to warn about the transportation of ballot boxes at the time of booking so that later no problems with the passage of the control areas. Most countries do not charge customs charges on the cargo 200. Customs clearance loaded with 200 is out of the lineup. Prohibited any ceremonies immediately before and after the loading or unloading of the coffin. Download cargo 200 before boarding, and unloaded last.